Shaken, not stirred: Bring back the Angry Young Man !! Bring back the Angry Young Man !! It’s been forty years since the ‘Angry Young Man’ made his mark on Indian Cinema. 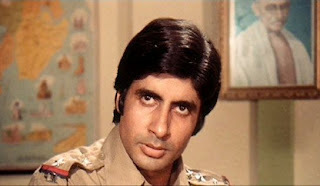 Whenever the phrase ‘Angry Young Man’ is uttered, the iconic scene of Amitabh Bacchhan in the film Zanjeer kicking the chair underneath Sher Khan(played by our versatile actor and golden human being Pran saheb) and saying the famous dialogue “Jab tak baithne ko naa kaha jaaye tab tak khade raho. Yeh Police station hai, tumhaare baap ka ghar nahin.” (Until you are told to sit, remain standing! This is a Police station, not your father’s house!) comes to mind. For more than two decades the Angry Young Man ruled the Indian silver screen until the nineties when a new generation of talented actors and directors took over. But even today, amidst all the modernization and the dramatically changing social and political landscape, the angry young man survives although he is not as prominent as he was in the earlier days. 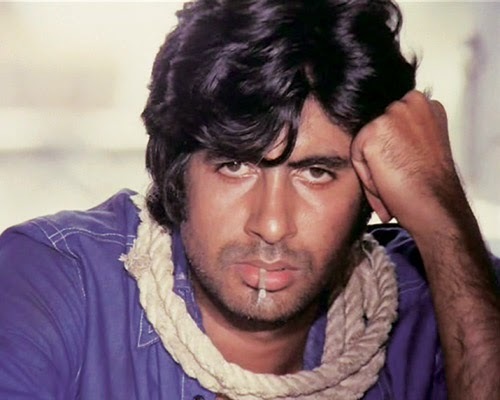 To find out how the ‘Angry Young Man’ came into being, let us take a deeper look into the evolution of Indian cinema over the years since its inception in the nineteen thirties. Prior to independence, Indian cinema made modest beginnings. Films mostly revolved around religious and social themes prevalent in that era. Raja Harishchandra(India’s first silent film), Alam Ara(India’s first talkie), Sant Tukaram and Achoot Kanya were notable films of the pre-independence time. Indian cinema has always been a mirror of the prevalent social and cultural attitude at any given point of time in its long history. After Independence, a new generation of youngsters slowly and unsteadily rose to their feet to take charge of a new-born baby. The late nineteen forties and the fifties which followed were considered the ‘Golden Years’ of Indian cinema. Free from the shackles of imperialism, film makers started innovating and experimenting with new themes. A new wave of talented artistes made their mark on the silver screen. Films made in this decade reflected the prevalent social structure across India at that point of time. Notable films made in the fifties include Do Bigha Zamin, Shree 420, Aawara, Mother India and Kaagaz ke Phool to name a few. This decade is also notable for introducing superstars such as Raj Kapoor, Balraj Sahani, Dharmendra, Shashi Kapoor, Guru Dutt, Dilip Kumar, Nargis, Madhubala, Vyjanthimala, Nutan and others to the silver screen. If the fifties were all about social and economic change, the sixties brought in the era of romance and emotions. India got its first phenomenon in Rajesh Khanna and other stars like Shammi Kapoor, Dev Anand, Sunil Dutt and Rajendra Kumar also became prominent. The sixties also marked the beginning of Colour films. Eastman Colour made its’ debut as more and more film-makers made their films in colour. Some notable films in the sixties include Mughal-E-Aazam, Junglee, Kashmir Ki Kali, Guide, Bandini, Teesri Manzil and Tere Ghar ke saamne to name a few. But the honeymoon period was not to last long. Towards the end of the sixties, the audience soon got bored with the usual run-of-the mill stories. Films mostly revolved around clichéd storylines. Boy meets girl, chases her around trees with lots of melodious songs thrown in and finally manages to woo her. Enter the villain who drops a spanner in the works, causing the good guys to suffer. Finally, the hero succeeds in overcoming the villain, marries the girl and all’s well that ends well. A brief period of stagnancy entered as scriptwriters struggled to create new stories interesting enough to grasp the attention of the Indian audience. The seventies were also characterized by economic uncertainty and stagnation. Jobs were scarce. Wealth was unfairly concentrated in the hands of a privileged few who used their status, influence and power for their own greedy ends, trampling over the needs and aspirations of the majority. Poverty, Illiteracy, Corruption, nepotism, black-marketing and unemployment spread like the plague to all corners of the nation leading to widespread frustration and rage against the wealthy, corrupt and the powerful. In the midst of all this strife, film-makers knew they had to innovate. So they brought about a new kind of hero onscreen. This new Hero did not have the suave and charming skills of his predecessors of the fifties and the sixties. What he had instead was a deep seated anger. Anger at being deprived of the basic necessities of life, anger at being deprived of the right to live in respect and dignity, anger at being deprived of the right to proper education, anger on being unable to afford two square meals a day due to the high cost of living, anger on being unable to afford a decent accommodation for himself and his family, anger at being denied the right to find a decent job due to scarce job opportunities prevalent at that time, anger on being denied justice by the corrupt and inefficient judicial system. Prakash Mehra, a maverick film maker decided to create a new kind of film showcasing the new and angry hero, instead of the traditional romantic and charming one. He made the script for Zanjeer and tried to sign several leading heroes of that era such as Dharmendra, Raj Kumar, Rajesh Khanna and Dev Anand among others, but was turned down each time. 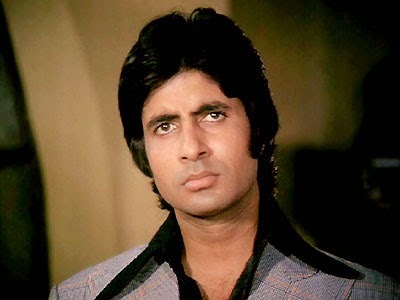 Ultimately, destiny played a hand and this role went to Amitabh Bacchhan, a relative newcomer at that time. 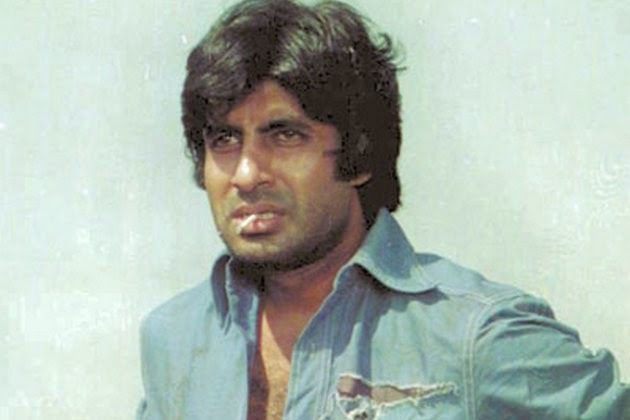 Zanjeer released in May 1973 and became an instant hit with the audience. The new Hero, an intense and brooding personality with a deep seated anger against an unjust society and judicial system became a huge success with the audience who identified their pain and suffering with him. And so was born, “The Angry Young Man”. Zanjeer became a huge commercial success of that year and Amitabh Bacchhan was catapulted to stardom. Mr. Bacchhan carried the mantle of the Angry Young Man throughout the seventies with aplomb, supported by stunning performances in films such as Deewar, Trishul, Shakti and Kala Patthar to name a few. Mr. Bacchhan’s baritone voice, his mesmerizing personality along with his incredible dialogue delivery drew crowds to cinema halls and kept the audience mesmerized throughout. The seventies gradually made way for the eighties which saw Indian cinema fall into a rut of violence, vulgarity and clichéd storylines. Film-makers hesitated to take risks and tried the same beaten formulas and repetitive storylines. Actors such as Anil Kapoor, Govinda, Sunny Deol, Sanjay Dutt and Jackie Shroff became prominent stars during this era. They tried to emulate the Angry Young Man formula with mixed results, but none could do justice to the role the way Mr. Bacchhan did. After the eighties came the nineties and with it dawned a new era for Indian Cinema. This decade was known as the decade of the three Khans(Aamir, Shahrukh and Salman) who instantly struck a chord with the new generation, especially amongst females. The Indian government had also started the policy of economic liberalization and foreign investment suddenly started pouring into India. New business opportunities and jobs opened up for people and very soon, the Indian middle class emerged as a dominant force with huge purchasing power. This change in the social scenario was also reflected in the Indian films of that time. People started experimenting with innovative storylines and lavish budgets and focussed more on comedy and romance. The Angry Young Man was slowly fading out, even though he appeared in some hits of the nineties such as Ghaayal, Damini, Baazigar, Veergati and Ghatak. The latter part of the nineties was more known for Romantic Hits such as the hugely popular Hum Aapke Hain Kaun, Rangeela, Andaaz Apna Apna, the iconic Dilwale Dulhaniya Le Jaayenge, Hum Dil De Chuke Sanam and Kuch Kuch Hota Hai amongst others. After the nineties, the dawn of the new millennium brought about rapid changes in India’s social structure and thought process. The IT revolution came into full force and the seeds of entrepreneurism were being laid amongst a new and dynamic generation which challenged traditional methods of thinking. The information age brought about a radical change in the system and processes as many Governments and organizations were forced to improve themselves in the face of increasing competition. This change in attitude and thought was also reflected in films of that era. Films with old, weather beaten plots, clichéd storylines, violence and vulgarity were instantly rejected by an increasingly bright audience who was now finding a voice through the internet and social networking. Instead, films with new and innovative storylines, intense performances, improved technology and Hollywood style scripts and editing now found their way. A new generation of stars such as Hrithik Roshan, Kareena Kapoor, Lara Dutta, Priyanka Chopra, Akshay Kumar, Shahid Kapoor, Sharman Joshi, Saif Ali Khan and Shreyas Talpade among others have found their way into the silver screen and in the hearts and minds of millions of Indian youngsters. Amidst this new and dynamic social structure, the Angry Young Man has taken a backseat. Indeed, with our country on the path to prosperity and with a new and dynamic government which has promised to make our nation an economic powerhouse, many would argue that the reasons which prompted the birth of the Angry Young Man do not exist anymore. Slowly and steadily, he is fading into oblivion. But I beg to differ. Even today, despite our government, the media and foreign countries proclaiming that our country is on the road to prosperity and better governance for all, there are many who are still deprived of opportunities to prosper. All is not hunky-dory despite the tall claims made by politicians and other sources. The struggle to make a living has become more competitive than ever before as many fight to earn enough for a decent standard of living despite a marked increase in standards of living. Terrorists and Insurgents strike with lethal precision in our nation spreading terror, chaos, death and destruction throughout. Our attitude and treatment of women still remains deplorable with many atrocities reported daily. Safety and security are on the decline too, with increasing number of robberies on the rise. Costs are rising alarmingly as prices of real estate and other essential commodities spiral upwards out of the reach of the common man. Celebrities and politicians use their status and power to full advantage and get away scot free or with light sentences despite committing heinous crimes. Despite all the noise of prosperity our politicians and media make, there is still a deep sense of discontentment among-st the nations’ citizens, young and old. Some say that nothing has changed much. When things get out of control, The Angry Young Man will emerge from the shadows once more and make his voice felt in the country.